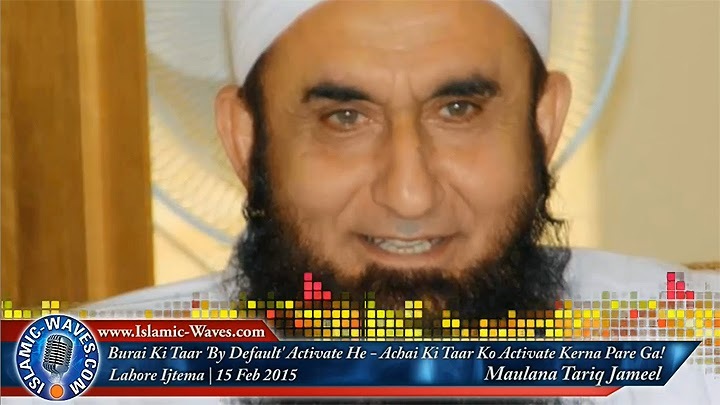 Hazrat Maulana Tariq Jameel Damat Barakatuhum clip "Burai Ki Taar By-Default Activate He - Achai Ki Taar Ko Activate Kerna Hoga!" from latest bayan held at Lahore Ijtema 15th Feb 2015. Hazrat has arrived from a long Europe tour and did not consider his tiredness and reached at Ijtema, MashaALLAH!, may ALLAH bless him with health, Ameen!